Triple Investment Group invites architects, planners, students, engineers, designers, and artists from around the globe to take part in the Silverdome International Design Competition. With this competition the organizers hope to inspire ideas for a public and private space and the role of the individual and the collective in the creation of a dynamic and adaptive community. The Silverdome International Design Competition offers a prize fund of $4,500, of which $3,000 are reserved for the 1st place winner. 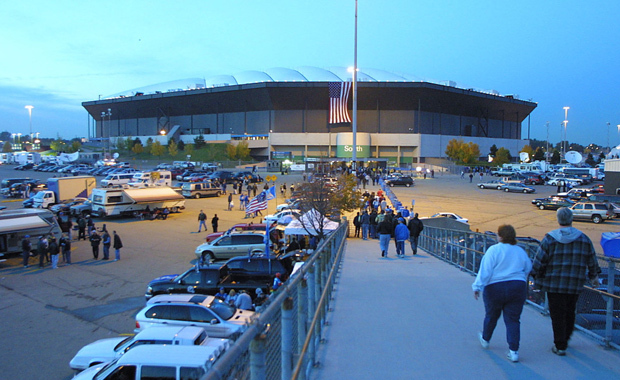 The Silverdome was one of the world’s most prestigious buildings of its time. Triple Investment Group and Oakland County recognize that the site at 1200 Featherstone Rd. sits on one of the most sought after locations in Michigan. With this open-ideas design competition, they seek outstanding ideas that will redefine the site design through the implementation of novel technologies, materials, programs, aesthetics, and spatial organizations along with studies on globalization, flexibility, adaptability, and the digital revolution. The aim is to examine new visions for a campus of Retail, advanced technology research, development and manufacturing that is integrated within the community, the city and the world. The participants should take into consideration the advances in technology, the exploration of sustainable systems, and the establishment of new urban and architectural methods to address economic, social, and cultural problems affecting the contemporary city including the scarcity of natural resources and infrastructure and the exponential increase of inhabitants, pollution, economic division, and unplanned urban sprawl. Entries by multidisciplinary teams are encouraged and there is no limit to the number of participants per team.